JOHANNESBURG – THE days of multinational companies charging exorbitant prices to repair vehicle windscreens are now over following the emergence of a new breed of entrepreneurs inspired by technology. Before the advent of technology, vehicle owners were forced to discard the entire windscreen despite a mere dent, chip or crack. This came at a cost to many car owners, many sinking in heavy debt as a result of car loans, coupled with the high cost of living that has seen the price of fuel shoot up. Thanks to technology innovations, car owners can now pay as little as R250 to get their windscreens in top shape. And, it takes minutes compared to the expensive alternative of a new windscreen, which takes significantly longer. The new innovation requires the use of a razor blade, compact disc (CD) plastic and glass chemical. The task is complete in five minutes, on average. 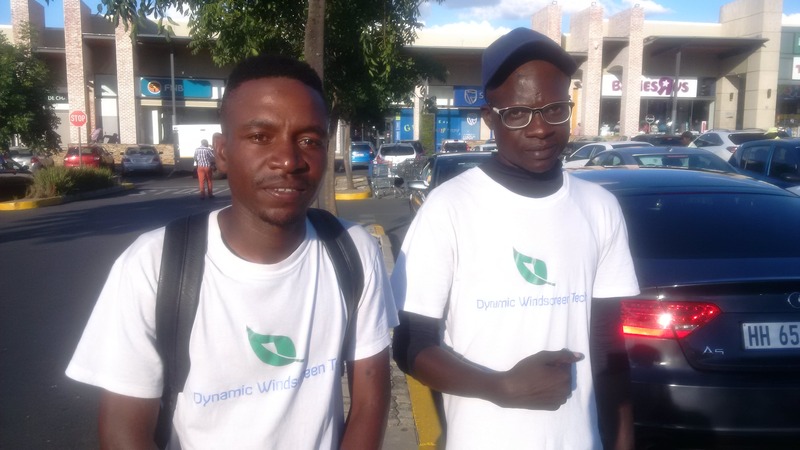 Such technology is the brainchild of Dynamic Windscreen Tech, the Gauteng-headquartered company founded in Johannesburg and now with a presence in other major cities around South Africa. It is now available in Bloemfontein, Cape Town, Durban, East London, Port Elizabeth and the capital Pretoria. Enterprising Zimbabweans, Spencer Banda (29) and Clarence Tapfuma (26), formed the company after failing to secure employment in South Africa, the neighbouring country which despite its immense economic challenges is seen by Zimbabweans as offering a greener pasture. The establishment by the two Zimbabweans has created several jobs for locals, thereby shattering the myth that foreign nationals are “stealing” jobs meant for their South African hosts. “After failing to secure employment, we took five solid years of research on how to fix damaged car windscreens. We did trial and error at our backyard till we came right,” Tapfuma said. Banda, the company director concurred when they started, vehicle owners were skeptical about the service. “They were doubtful because our model operates at established malls such as Woodmead and Midrand, among others,” Banda said. When CAJ News Africa visited the innovators’ base in Woodmead, the place was brimming with vehicles of all shapes and sizes as well as a mix of nationalities. “The good thing about what our work is that we are green. Wherever we operate, the place is always clean and not spoilt,” Banda said. They pay R700 daily to the owner of the space (mall management) they operate in. Dynamic Windscreen Tech work carries a 12-month guarantee. The founding members waxed lyrical about their innovation. “It goes without saying that your vehicle’s windscreen is pretty important and needs to be kept in good condition. Alas, windscreen chips happen all too easily and can obscure making driving dangerous. We are here to help,” Banda said. After their advanced repair, all chips and cracks are 90 percent visibility removed, the pair assured.